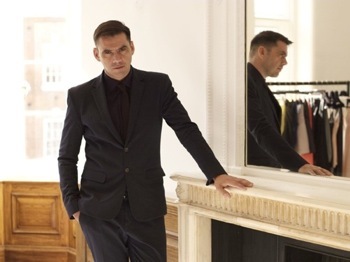 Roland Mouret, French designer based in London for around twenty years, has been named the president of the jury for the PV Awards 2011. The french designer will be the president of the jury at the PV Awards 2011, in the company of other fashion professionals. Created in 2009 by Première Vision (the first showroom in the world for clothing textiles) to emphasise textile excellence, the PV Awards - in their 3rd edition this year - include 4 prize categories: the Jury's Grand Prix, for the most exceptional fabric of the season; the Handle Prize, for the most astounding textile for its tactile and behavioural qualities; the Innovation prize, for the most innovative, technological and creative textile; the Imagination prize, for the boldest textile, the most surprising in material, technique, décor and finish. On the 22nd September Roland Mouret will unveil in public the list of winners at the Forum Général of the showroom.